Franziska Schervier and Dora Visser maintained a very warm relationship, and they began to write to each other. All the letters were written and answered by Fr Kerkhof because Dora could only read a little and not write at all. 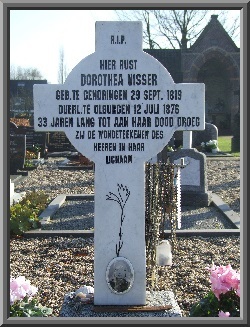 All the letters from Franziska Schervier received by Fr Kerkhof have been preserved and are kept in the Centre for Catholic Documentation in Nijmegen. Unfortunately the letters that Kerkhof wrote to Franziska were lost when the archive of the Poor Sisters in Aachen was destroyed in a bombing raid in the Second World War. 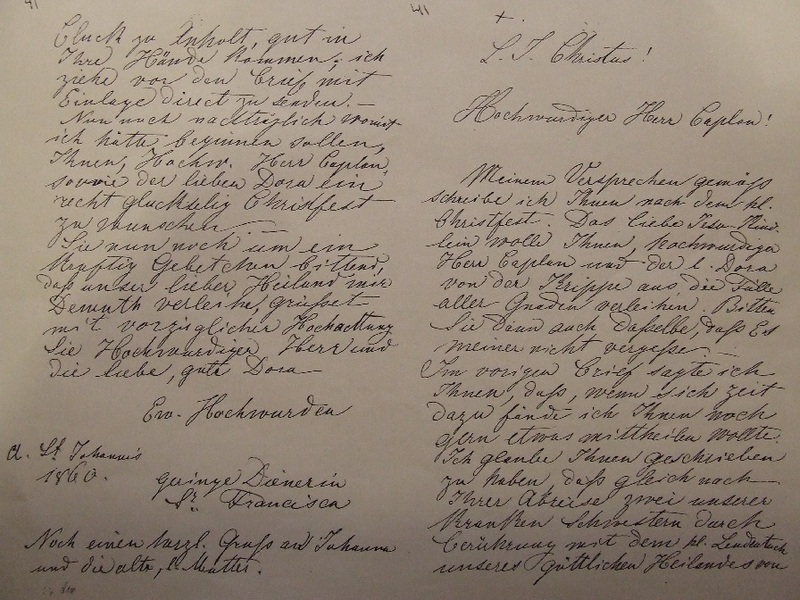 Below a photograph of one of these letters, with a clear signature of Franziska Schervier (bottom left). Copyright © 2019 Stichting Vrienden van Dora Visser. All rights reserved.